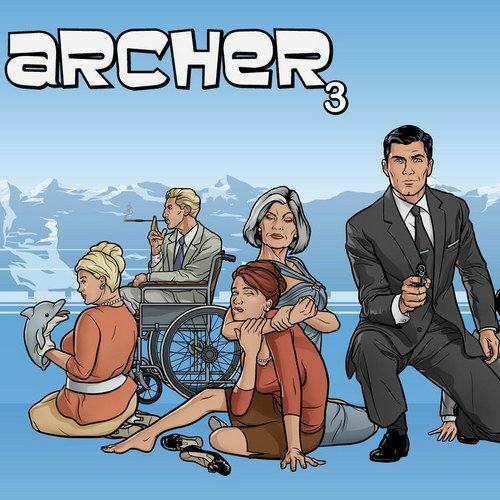 FX's hit animated series Archer continues its Season 4 run with new episodes airing Thursday nights at 10 PM ET. H. Jon Benjamin stars as Sterling Archer, a top agent for the spy organization ISIS who has an affinity for fast cars, beautiful women, and, oddly enough, turtlenecks. If you haven't been tuning in on Thursday nights because you aren't fully caught up with the series, then you're in luck. We're giving away copies of the Archer: Season Three set on DVD to get you up to speed on all of Archer's past adventures. Take a look at how you can bring Archer and the rest of the ISIS crew home below. Sterling Archer and the ISIS team return for a third season of espionage. Although their work of espionage, reconnaissance missions, wiretapping and undercover surveillance is daunting and dangerous, every covert operation and global crisis is actually just another excuse for the ISIS staff to undermine, sabotage and betray each other for personal gain.